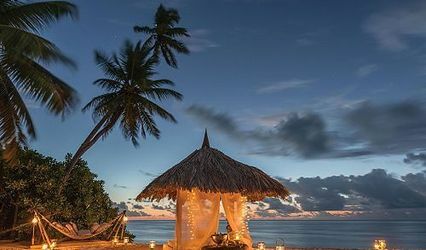 New Horizon Tours and Services is a travel agent business based in Virginia Beach, Virginia. 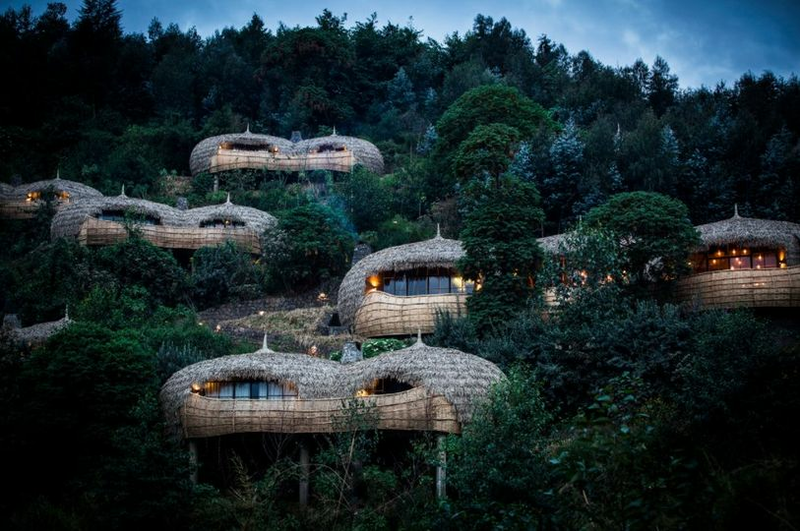 This business, which was founded back in 2016, offers guests the unique ability to tour and explore all throughout Rwanda and Uganda. 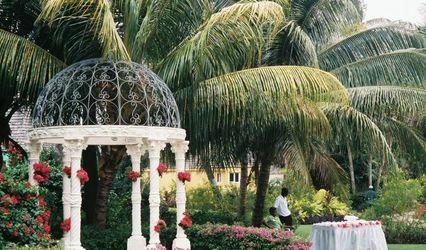 Whether you are booking a wedding or honeymoon adventure, the team of travel agents will work with you, and specifically within your budget, to ensure you experience the trip of your dreams. New Horizon Tours and Services can handle all of your travel details ranging from car rentals to booking flights. The team can also book any hotel accomodations in the foreign countries so that you don't need to worry about those details. 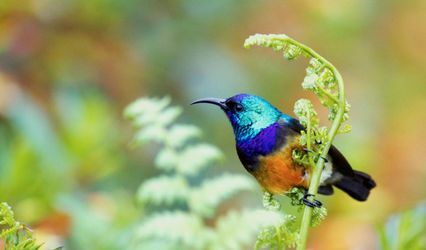 While you are in Rwanda or Uganda, you can enjoy a variety of fun activities which will allow you to get up close and personal with the landscape and wildlife. Your travel agent can help you arrange hiking, national park visits, gorilla tours, safaris, and other exciting adventures. I and my man went for an adventurous honeymoon in Rwanda. Received at the airport by Emmanuel, we stayed in a fantastic hotel and went for Golden monkeys trekking in the volcanoes national park and canopy walk in Nyungwe. The road to Nyungwe offered us a stunning view of the lake and were so much satisfied with Emmanuel's service and his company. They're very much appreciated and recommended. By our Driver guide, our private car will drive you to the Hotel for luggage’s deposit. Afterwards, we will drive you to the city tour trip. Trip to the top of Mt. Kigali for views of the city and the countryside, a milk bar, Richard Kant House visit, a neighborhood market, Arts work visit, a great Rwandan lunch, the best coffee around, a neighborhood walk and ends at the Kigali Genocide Memorial. Our tour ends around 2:30pm at The Kigali Genocide Memorial. Our driver and vehicle will wait with you until 5pm (when the memorial closes) for those interested. We highly recommend visiting the Memorial. There is also an option to get a ride back to your hotel at 2:30pm for those not interested in visiting the Memorial. Depart from Kigali; en-route visit some historical sites on the main road like Kamegeri's rock , National Museum of Rwanda, Check in the hotel and refresh before you go for a late afternoon drive at the tea plantations to see some primates. Overnight at Gisakura Guest House. Rusizi. Check in and have lunch at the hotel. Some time to relax after trekking chimps. Overnight at a recommended Hotel. 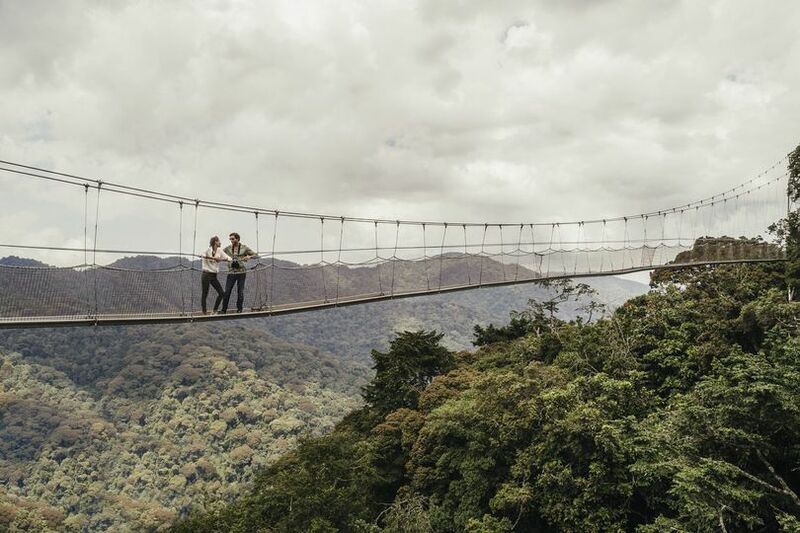 Aparts from Chimps Trekking, Nyungwe National Park offers other activities like the canopy walk, Kamiranzovu trail, Birds watching, Hiking, and other trails of activities can be confirmed depending on your aspirations. Napoleon's hut and Amahoro "Peace" Islands – Enjoy fried Kivu fish and potatoes on the island plus some cold drinks of your choice. Swimming is optional to any interested member/guest. Overnight at a recommended Hotel. Transfer to Musanze. En-route visits the twin lakes of Burera and Ruhondo. Overnight at recommended hotel. Early breakfast (5:30am); start gorilla trekking procedures at 7:00am at the park headquarters. After gorilla trekking, refresh and for a courtesy visit to Karisoke Research center and drive to Kinigi cultural village to enjoy the traditional dance. Overnight at recommended hotel. Banana and sorghum are some of our staple Food products in Rwanda and they are used in different ways i.e.as food, local beer/drinks and very im-portant in the cultural practices most especially during our traditional weddings ceremonies, settling of disputes between community members, bonding relationship between different families etc. Rwanda has four common species of banana plants and each species of banana plant has got unique uses and value. Practically, you will learn and understand while in the field. Sorghum production is quite complicated but made simple to experience and really a thrilling experience. 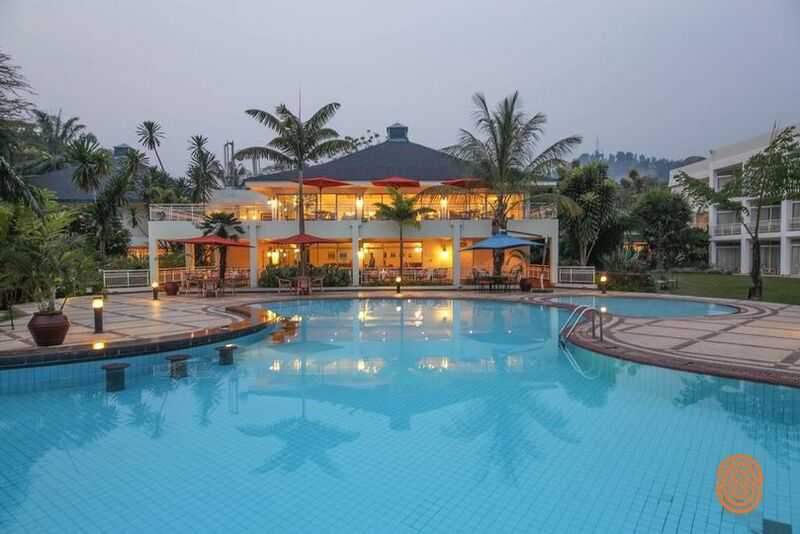 Transfer to Rubavu, Gisenyi – check in the hotel. Drive around Gisenyi town as we head to Rubona fishing village to experience the lifestyle of fishermen and also watch the hot springs. Swimming is optional in the lake. Overnight at a recommended Hotel. En route from Gisenyi, guests will visit different touristic places accordingly mainly the Kirenge Arts center in Rulindo District. Before reaching Rulindo, visitors will have an opportunity to visit coffee plantations in Gakenke District. En route do shopping. Check arts market for more souvenirs. Dinner at a recommended restaurant. A bye bye party will be organized in the evening with presence of Rwandan traditional dancers and singers to say good bye. Transfer to the airport and depart Rwanda. This package requires a minimum of 2 persons for a budget of $2950 each and Including Gorilla Trekking Permit and personal items. Package for Solo Travellers will be arranged separately. Named for Akagera River that flows along the eastern boundary and feeds into a labyrinth of lakes. 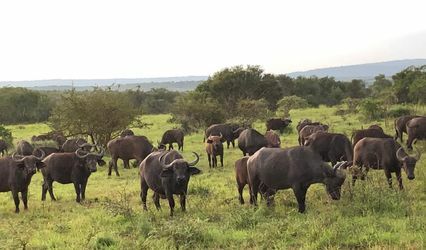 Rolling hills of Acacia bush with panoramic views across scattered grassland, patches of thick forest and mosaic of swamp fringed lakes along the meandering Akagera watercourse contribute to this park’s almost unrivalled diversity and scenic beauty . 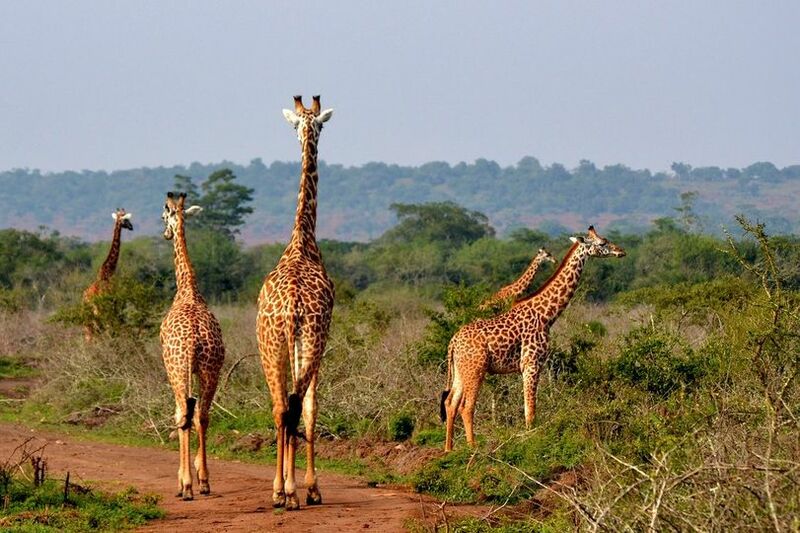 Akagera is unique, large herds of buffalo, impala, crocodiles, Elephants and Zebra are mostly seen. Our Departing place is CHIC Complex Kigali, Rwanda. Travellers can also choose to be picked at their Hotels in Kigali, Rwanda. A pick up at 6am, after breakfast for a morning safari game drive in Akagera national park. On the game drive you will see a variety of birds and animals including elephants,giraffes,buffaloes,zebras,hippos,spotted hyena and crocodiles. Dinner and overnight at Akagera Game Lodge or Dereva Hotel. 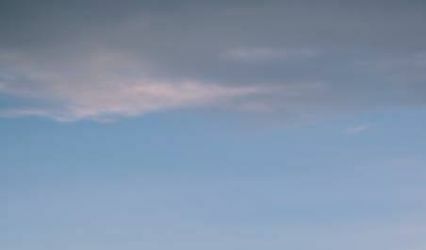 After an early breakfast, you begin witnessing a spectacular sunrise and early morning birds songs. The morning boat ride will start on Lake Ihema to see the hippos, huge Nile crocodiles and other animal viewing. After you lunch you will head back to Kigali to catch your flight at the airport. This package requires a minimum of 2 people with a budget of $400 each. And Exclude airfare, visas, Tips, laundry, beverages and other personal expenses. Early breakfast (4:45am); then drive to the chimp trekking point. After trekking, the Canopy Walkway follows in the afternoon. This is 50 meters above the ground level, and 200 meters long. The dizzying platform is above a steep and deep valley across a massive forest. 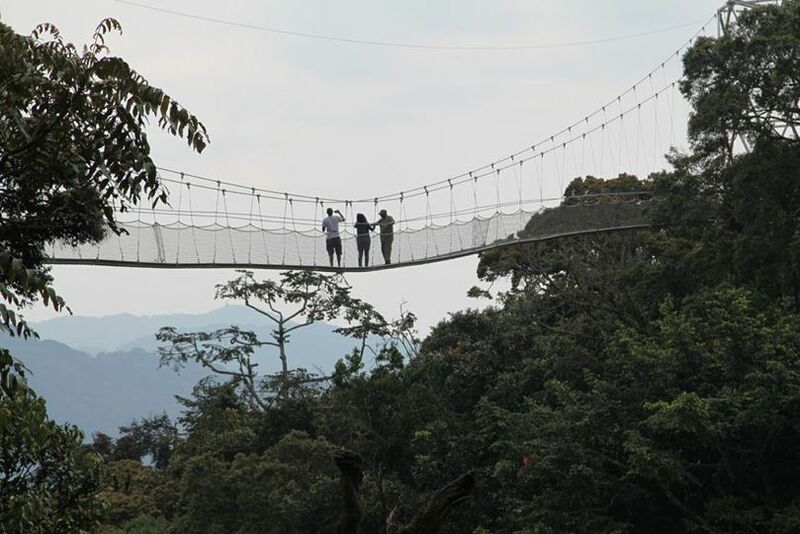 The hanging platform which allows visitors to view different animal species in Nyungwe forest spreads over hundreds of square meters and will allow visitors to be at the "eye-to-eye level" with different primate species, and many bird species, all of which are fond of inhabiting the upper scales of the forest. You will also have time to meet farmers at the tea plantations or visit the tea factory or community tourism activities in the afternoon. Overnight at a recommended Hotel. 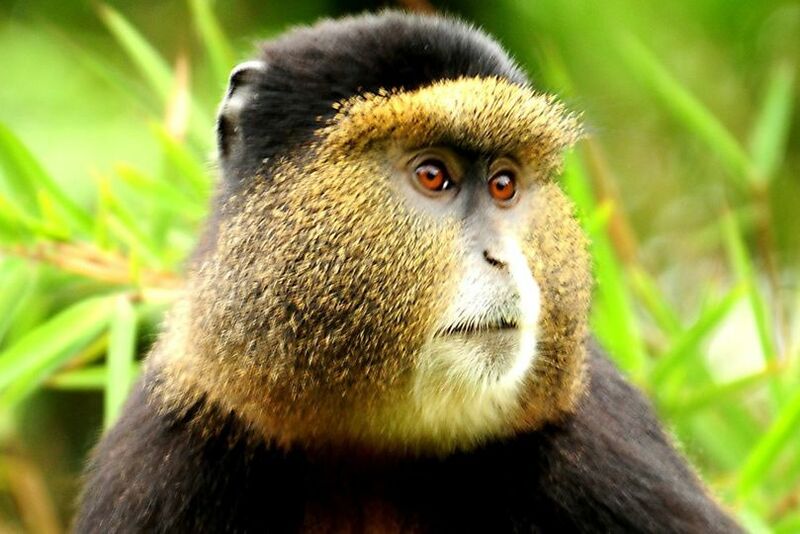 Aparts from Chimps Trekking, Nyungwe National Park offers other activities like Kamiranzovu trail, Birds watching, Hiking, and other trails of activities can be confirmed depending on your aspirations. With this Package, you will have a deep understanding of how tea is produced. Have a 2 hours tours at the factory and depart back to Kigali. Afterwards you will head to Kibuye for Napoleon Island visit and Kivu boating experience. At the end of the tour, you will drive back to Kigali, then the airport and depart back home. This package requires a minimum of 2 people with a budget of $492 each.